The first rule for any investor is to diversify their portfolio. Even if you are just starting out, the websites you build are your portfolio. So what happens when you’ve put all your eggs in one basket with just one way to make money from your website? It leaves you vulnerable and in a position where you can’t mitigate your risk. Adsense is one of the best platforms you can use to monetize your website, but there are plenty of Google Adsense alternatives you should consider when building out a website or buying an existing site. If you’ve invested heavily into content, should consider the wide variety of different monetization models that you can derive income from. Websites that were solely monetized via Amazon.com took a significant hit. Just like Amazon changed its commission structure, things can change at the drop of a hat. Putting all your eggs into Amazon’s basket is no different than many people putting all their eggs in the Google Adsense basket. If you aren’t diversified, you are putting yourself and business at risk. Webmasters that diversified from Amazon and monetized with Adsense and/or other methods like Amazon FBA, were far more insulated from the Amazon Associates adjustments. While a significant change to Google’s Adsense platform is unlikely, it’s a real possibility that you could lose your account at some point if you have aggressive advertising placement or violating any of the Google Adsense TOS by accident. Most people don’t start their day off thinking “gee, I’m going to violate the Adsense TOS today.” But unfortunately, that day may come and you should absolutely be prepared for it. Let’s take a look at what Adsense is, how it’s used and how you can incorporate multiple monetization methods to hedge your risk when creating a niche site. 1 What is Adsense and how is it used? What is Adsense and how is it used? Adsense is Google’s ad network. Businesses come to Google and pay them money for Advertising space on “partner networks” which are usually publisher websites. Advertisers have their ads displayed on these websites and pay every time their advertisement gets a click. If you are a publisher and have the Adsense code installed on your site, Google pays you a percentage of that amount. There’s no hard rule on how much you will make, but generally you can expect to make about 25% of the published “cost per click” that Google advertises as the going rate. If someone is bidding on a keyword for “law school” and is willing to pay $50.00 to send the person who clicks the ad to a website for law schools, you’d see about $12.50 of that on average. You have to apply for the Adsense program which has certain policies in place that you’ll need to adhere to before getting approved. Once you are approved for the program, it’s as simple as placing the ad code on your website. Once you start getting some traffic and some clicks, you’ll start making some money and your first payout will happen when you hit $100.00 plus in your Adsense account. If you are new to internet marketing, this all probably sounds great. But if you have some experience, you probably know that it’s wise to incorporate different types of monetization strategies. Not only is diversification good for risk aversion, but it’s also good to test which advertising programs may work the best with your audience. Some networks may pay out more than others over the long haul, so it’s important to test which offers yield you the highest profit margins. Let’s take a look at some of our favorite options. Not all networks work well with every niche and not all networks pay out the same amount of income over time. It’s important to test which ones work best. 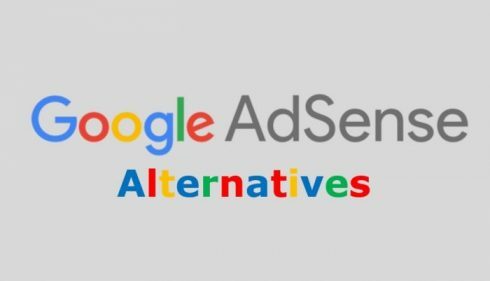 The 9 alternatives we look at below are some of the best alternatives we have used when looking at options to diversify from Adsense. We’ve already touched on the Amazon Associates program earlier in this article and with good reason. This case study started a new era of Niche websites that people began deriving income from when we first went live with Niche Site Project 1. There are many affiliate marketers out there who use the Amazon Associates program as their sole source of monetizing their site. It’s a great way to capitalize on low competition keywords that often times have a buyer intent. With Amazon Associates, you have the ability to use a number of different ad formats. You can use their CPM ads which pay out per impression or you can use Amazon affiliate links and get paid anytime someone makes a purchase on Amazon.com within 24 hours after clicking a link on your website. This is the method that most Associates start with because Amazon’s commission payout policy is still very good, even after the February 2017 adjustments to the commission table. Commission payouts range by category and can payout anywhere from 1% to 10% of the purchase price. They have also recently been emphasizing their Native Shopping ads which will display relevant products on the pages they are placed on. If no product are picked up in the feed, they will default the ads to whatever you specify as the fallback. A good chunk of the Niche Pursuits Audience uses the Amazon Associates program to monetize their websites and it’s a great monetization platform for beginners. When paired with Adsense, you will have two of the most easily implemented and effective monetization methods used by Affiliate marketers and publishers on the internet today. Media.net is the advertiser platform for BingAds, which is like Google Adsense but published by Bing (which is Microsoft). Media.net has some things we like and some things we don’t’ like when comparing ad networks. Looking at each of these in more detail, there are a few things that differ Media.net from Adsense. The first is that you get your own account manager once you are brought on to the platform, and that manager will help optimize your ads for you. You can reach out to them via email anytime you need to speak with them, and I’ve found they are usually quick to respond. The ad displays are also more attractive than most default Adsense ad blocks and they give you higher levels of customization. While Media.net’s Ads don’t have the same selection of layouts that Adsense does, they still offer a wide variety of size formats that will fit properly on just about any blog or website. The payouts on Media.net are also extremely good in certain niches. Take a look at a few of the articles below and you’ll find a few people that have had some great success with Media.net ads. These are just a few marketers out there that have actually published their success stories about their earnings with Media.net. There’s plenty of marketers out there using this ad platform having great success and just not talking about it. If you are in a niche that will fall within Media.net’s advertising policies, it’s worth looking as a replacement for Adsense even if you are currently using Adsense today. If you are in a niche that has products in the Amazon Associates program, Media.net can make an excellent compliment to that revenue source as Media.net ads seem to do the best when in a niche that has lots of buyer intent keywords. Overall, Media.net is one of the better ad platforms out there today and should be given careful consideration as a potential replacement for Adsense, even if you have an active and approved Adsense account. Go here to Apply for Media.net. Monumetric is formerly known as “The Blogger Network. It’s an ad network that’s similar to Adsense and Media.net, but just structured differently with how they measure success and pay publishers. Instead of paying on a “cost per click” basis, they use a CPM model which means that it’s a “cost per impression.” They are one of the better paying CPM networks and there are bloggers and webmasters having success using Monumetric as a stand alone platform or in conjunction with other ads. When you apply to Monumetric, there’s an approval process that is pretty easy to understand. The only qualifier is that you have to have some stable traffic. If you are just starting out, Monumetric is going to be out of reach until you start getting around 350 hits per day on your website. Once you’ve qualified for the traffic requirements, you can apply to the program. If you are in the 10k to 80k range per month in pageviews, there’s a $99.00 setup fee. This can be worth it if you think you’ll drive enough traffic to increase your earnings. Fracisco from PassiveIncomeWise.com shows his RPM (revenue per thousand impressions) to be around $7.23 with Monumetric, whereas he was at $1.43 with Adsense. This is a significant increase and is worth considering depending on your ad layout. He walks through this detailed breakdown here on Reddit. Since Monumetric optimizes your ads for you, you’ll have someone in your corner – but they will also be trying to maximize their own revenue with strategic ad placements so your RPM may differ depending on your ad layout and ad structure. Some people like to just throw one or two Adsense blocks on a site to keep it looking spam free, you may have to up your total ad count on your pages to see a significant income increase. Jon Dykstra at FatStacks also has some experience running Monumetric as an ad platform, and includes an extremely detailed writeup here, based on his experience. Propeller Ads are different from Monumetric, Media.net and Adsense. They are not an ad network that you probably want to consider using as your only monetization method (you shouldn’t be doing this with Adsense or Amazon anyways) and it’s best used if layered with another type of advertising network. They primarily use Pop Ups or Pop Under ads and allow you to maximize your revenue with their ads and they also operate on a CPM basis, which again means they pay out on cost per impression. Whether or not you want to use a pop up or pop under ad is something that every individual webmaster is going to have to make. There have been rumors in the past that google may penalize websites that use intrusive pop up ads on mobile sites, but the results are somewhat inconclusive. What is conclusive though is that you can make good money using them. So should you use propeller ads? It really depends on how you want to maximize your revenue and if you don’t mind having multiple ad networks on your website. Sometimes when you start to layer more than a few ad networks together, your site can start looking a little spammy. Can it be used in lieu of Adsense if you have decent traffic? Absolutely! Experience and revenue will definitely depend on your niche, but there’s a few studies that have been done where people have had great success implementing properller ads on their site and sometimes in conjunction with Adsense. Again, you’ll want to be careful about how you implement these ads on your site and make sure that they resonate with your audience. There’s no doubt they are an acceptable alternative and can yield a solid additional revenue source. While we wouldn’t recommend relying on it as your only income source, it’s an acceptable replacement for Adsense if you decide you are done using Google’s platform. InfoLinks is another ad network that you can use with Adsense or instead of Adsense. While it’s an alternative to utilizing Adsense, it may be better combined with another display ad like Media.net. As a stand alone platform, it lacks just a little bit, but that doesn’t mean it won’t yield you some revenue if you are looking at options to replace Adsense on your website. Infolinks is different with they way they have their ads structured. They are advertising “links” which means that you’ll get revenue when someone clicks on an ad that’s based on their links. You can have their ads target some of your primary keywords for the best results and the best payouts. Overall Infolinks makes for a great option if you are looking to add to your revenue sources and as stated, you should think of combining it with other ad networks to maximize your profits. It’s a great supplementary income source and while it can definitely be an option to replace Adsense altogether, the limited way the ads can be structured make it less appealing as a primary revenue source. Chitika is a network I considered using in the past as well. Their ad formats are friendly and the ads are relatively easy to install. It’s also pretty easy to get approved for their network but that also comes with some drawbacks. While you do get access to advertising partners like Yahoo! And HomeAdvisor, the CPC rates can be low depending on your niche. The nice thing about Chitika is that like InfoLinks and many of the other ad platforms we’ve looked at, you can combine it with others for a nice supplementary income. You’ll just need to be careful that you aren’t too aggressively monetizing your content. If your ad layout is aggressive, it could be a target for a Google Algorithm update, like when the “Fred” update hit in March of 2017. If Chitika paid out a higher CPC it might be right there with Adsense and Media.net with regards to being a top choice amongst publishers. Right now Media.net, Adsense and Amazon are much more attractive and/or lucrative options. With that being said, the CPC’s can be better in some niches than others, so it’s worth testing as a stand alone network to see if it fits for your niche. Ok, so this may take a bit more elbow grease, but you can make quite a bit of money selling your own advertising space and/or email blasts! I recently had a publisher reach out to me selling ad space on their website. They advertised a 300×250 ad block on their website for 30 days at $1,500 per month. While this is expensive, it was their first offer and may be eligible to be talked down. This is intriguing for me as an FBA seller. It is also intriguing to me as a niche site owner! Selling your own advertising space can be extremely lucrative. If you have a website that gets quite a bit of validated traffic, people will pay you for space on your site for their business. As a publisher if you can go out and find these people, you can essentially make a full time income from just one really good relationship if they are related to your content. If you have an email list you can also sell ad space in your daily emails! Or you can even send an email blast with solid advertising creative. Many influential sites will sell an “email blast” and give you an “expected number of clicks” from the resulting email blast. If you are a publisher and have an established site and collect email addresses, this is something that you can definitely take advantage of. Affiliate Marketing is an excellent way to make a full time income and can be highly lucrative. It’s a great replacement for Adsense but the key is making sure that you are in the correct niche to fully take advantage of the income potential. As an Affiliate, some affiliate marketing opportunities are much more lucrative than others. Clickbank and CommissionJunction are two of the most popular affiliate marketing platforms on the market. There are many different affiliate platforms out there though, and doing a simple Google search should yiled you plenty to look at. The true value comes from forming relationships with other bloggers and other webmasters though. You can often times cut affiliate marketing deals with anywhere from 50% to 60% of the income from the sales becomes yours after the fact. The good news with affiliate marketing is that the payouts can be extremely lucrative. With a 50/50 or 60/40 split, this can bring in substantial revenue depending on the product. There are internet marketers out there that bring in a substantial monthly income from recurring affiliate sales alone. Some affiliate products will not only give you an income opportunity up front, but they will give you an income opportunity to earn recurring income once a customer has signed up for their service. There are multiple networks that you can test and this should be an avenue you look to utilize as a replacement for Adsense right away depending on your niche. Niches like Fitness, Self Improvement and Coaching are all examples of evergreen niches that sell affiliate products very well. We should be talking about creating your own products as the #1 way to replace Adsense as an alternative form of monetization. It’s by far the most profitable when you compare it to the other options available. When you look at the Niche Pursuits income report from May of 2017, you’ll see there’s a substantial portion of income that comes from selling my own products on Amazon.com. You can take a look at that income report right here. When you start making your own products, it gives you the opportunity to diversify your income and/or completely replace other forms of monetization. Take a look at Niche Pursuits for example. We do not have any display ads anywhere on this site. 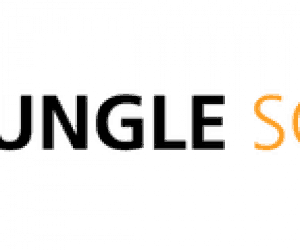 We do however still market Spencer's old software product, LongTailPro and a number of other services thathe is either an affiliate of, or has an ownership interest in. Spencer also has his Private Group, Niche Pursuits Insider where people can sign up to have direct access to the Niche Pursuits Insider team when they have questions about building websites and running their business. All of these are “products” that Spencer created to help other entrepreneurs and fulfill my own self needs. As a result, the income derived from these ventures far exceeds what we would be making with display ads. No matter how you look at it, creating your own product should be the #1 way you monetize your site if your niche or audience allows it. There was a time when I scrambled around looking for Adsense replacements. Had I known then what I know now, I would have created an email list on every one of those sites and had a product ready to sell the readers. It gets even easier today with the implementation of Amazon FBA. Now you’ll have multiple options when it comes to monetizing your site and you won’t even need to worry about the fulfillment of your products. Amazon’s FBA option takes care of all of your fulfillment when you sell your products on Amazon.com and participate in the FBA program. The primary method of monetization for my home goods brand is actually a combination of 3 different Ad networks. We use Adsense which could easily be replaced by Media.net. We also use Amazon Associates because people do like to see other product options available when looking for our product, and of course we drive traffic to our own Amazon listings that sell our products. 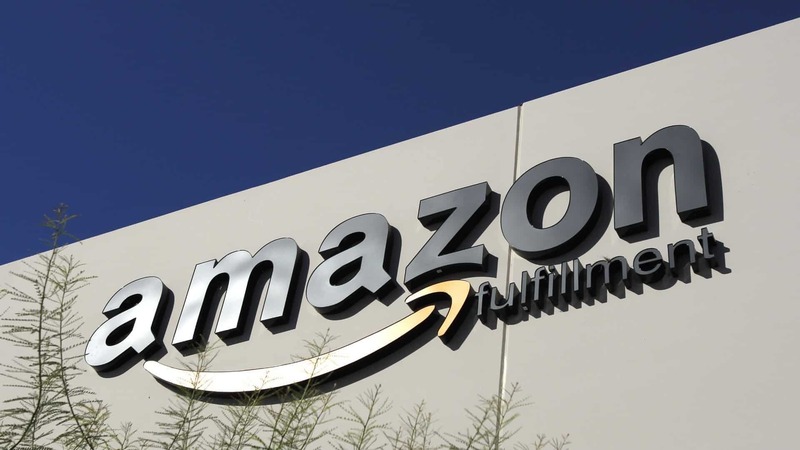 We could easily transition to selling on our own online store, which we will do at some point, but for right now, the focus is on selling on Amazon and letting them do the heavy lifting. These three sources yield a substantial income for this product and have created a legitimate multiple 6 figure business. While you can utilize display ads in many different ways, ultimately finding a way to come up with your own product should be the first option that you choose when deciding how to monetize your site. It’s a long term play, but well worth it in the long run as you create a sustainable business and brand that could be sold in the future. There you have it! Nine extremely effective ways to monetize your website that aren’t Adsense! While some of them definitely aren’t stand alone options, they will at least give you an alternative if your website doesn’t comply with the Adsense TOS or if you are just looking to get away from Google’s platform for a more profitable option. Adsense can be extremely profitable in the right niches. Ultimately there are plenty of options to choose from and we’d recommend starting your own product or service as the “go-to” for anyone considering an Adsense alternative. Great article bro! Very well explained and beautifully explained. Love it man!